In 1960, Noah BOYER, is a farmer and head of a pig. With his wife Marie-Claire Boyer they open a deli and a grocery store to sell local products. They are the founding fathers of the sign "Chez Noah". In the mid 80s, they will add the restaurant part. It is their ls Jacky BOYER, self-taught, from this line of Cilaos small traders who will take restaurant management. Training butcher, he worked with his parents as a clerk, then opens a snack bar. In 1986, together they launched the restaurant. Faced with the lack of structures in the field of traditional restaurants in the 80s, Chez Noah will benefit from the tourist boom on Cilaos, to find its place in the landscape restoration and increase brand awareness. The restaurant welcomes guests all year round in a family atmosphere, constantly renewed. 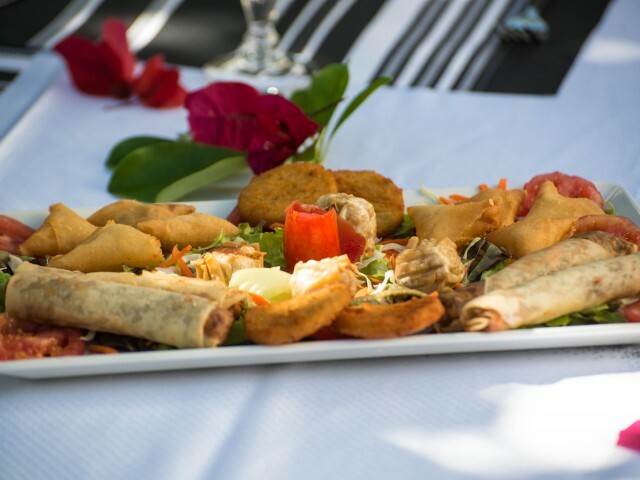 At the option of various developments, "Chez Noah" has retained its identity and seduced by the cuisine, Creole cuisine and other culinary cultures, combining cleverly flavors of the past with those of today, for the taste buds. Its activity is mainly centered on the sale of on-site dining and takeaway. Since 2012, Chez Noah opened his garden to cultural or its customers dating moments buffets organized during specific events such as theme nights, the artist encounters, exhibitions, etc. Same energy that brings the place its warm and friendly soul. coming years, which we hope will be with you. For Chez Noah becomes the "natural choice", we say thank you. Chez Noah wish you a good appetite and a pleasant moment of sharing in its premises.